i went tree hunting about a month ago and staked out a couple of possibilities. this one i found growing under a rock. there is a nasty scar from where the trunk met the rock, so i want to chop below that, but how far is the question. also it has a side branch and a large deadwood branch. i was planning on leaving the dead wood so i could use it in the future. the is a pic of the trunk of the tree, i fell in love with it a first site. 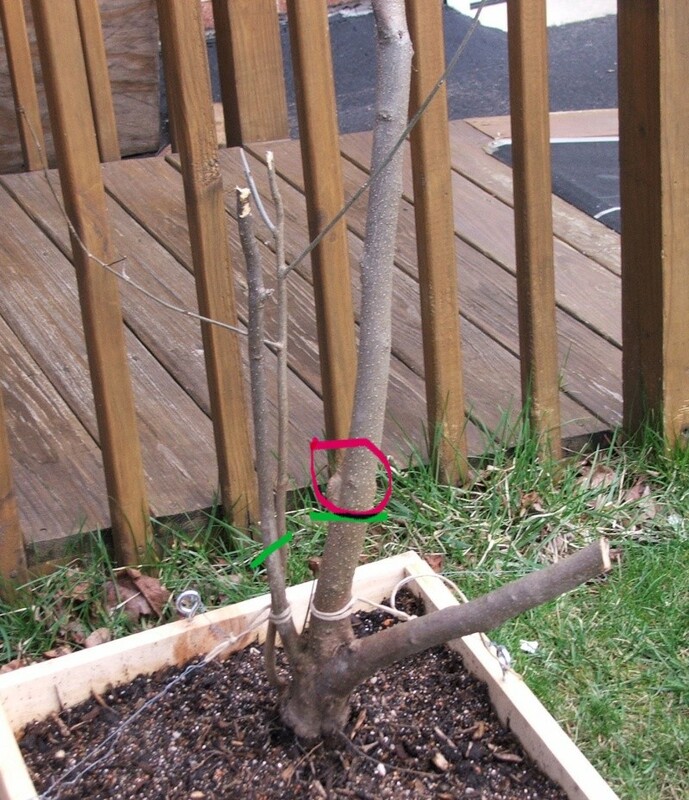 this last pic is a veiw of the scar, and a sapling that was "attached to the tree" it was either really tangled in the roots or a part of it because i couldn't remove it with out killing a large part of the roots. With some species you have to count with some die back of the branch after cutting. I think the cut you suggest is ok, try to make a slanting cut. I would remove the sapling and also much more of the dead branch. You got with this trunk a nice start. you could easy disturb this process of new root growth. not sure what species it is, im going to id it when the buds break, i know i fell in love with the trunk too! I would chop where the white string is tied. Then I'd remove all the other branches. 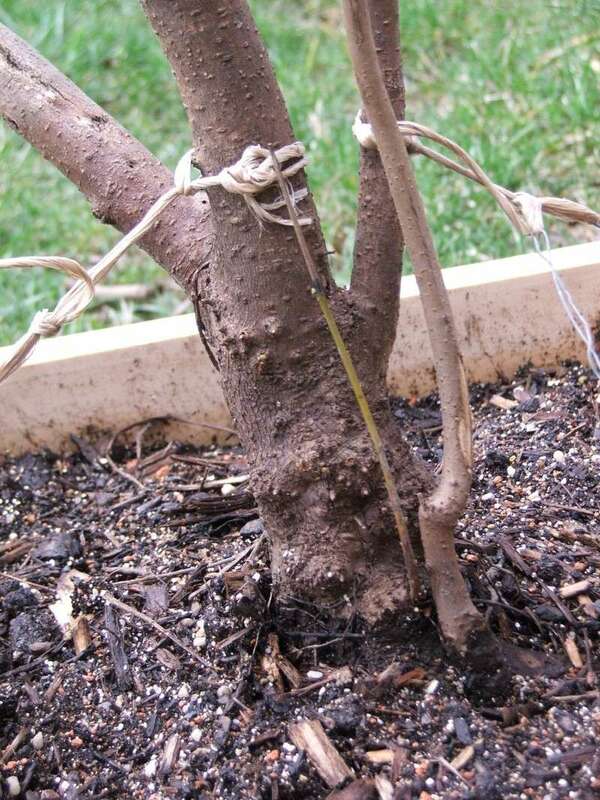 There's too little taper in all the current branches and trunks. Let it resprout and select the ones you want. I think that is an Ash (Fraxinus). 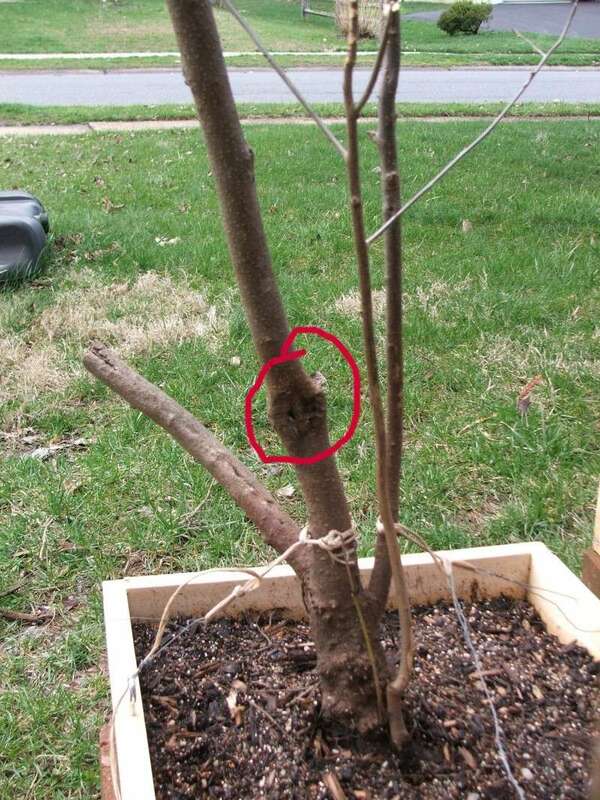 I am basing this on the bark of the big one and the look of the sapling. I cant count how many little seedlings I have popping up all over my yard.